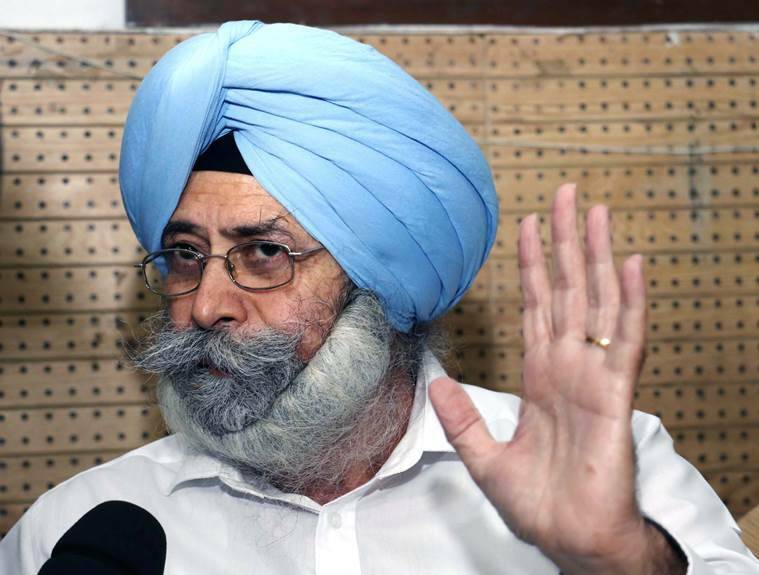 Activist lawyer and Aam Aadmi Party (AAP) leader HS Phoolka was Wednesday elected Leader of Opposition in the Punjab Assembly while Sukhpal Khaira, who left Congress to join AAP, was unanimously elected the chief whip of the party in the House. According to sources, the election took place at Delhi Chief Minister and AAP’s national convenor Arvind Kejriwal’s residence after his separate meetings with all 20 MLAs from Punjab. MLA Talwandi Sabo and women wing president of Punjab AAP Baljinder Kaur proposed Phoolka’s name and all the MLAs, including Lok Insaaf Party members and Bains brothers, raised their hands in support. Phoolka later proposed Khaira’s name as party’s chief whip and the MLAs elected him unanimously. Phoolka told The Indian Express that they would play a constructive role as Opposition and cooperate with the government in people-friendly policies. “But if they fail to fulfill their promises made in the manifesto and treat them as jumla, we will ensure they come true to the promises,” he said. “I have worked in the courts of judges. It’s now my turn to work in the courts of people. I will try my best,” he said. In the meeting, journalist Kanwar Sandhu, who is now AAP MLA from Kharar, is learnt to have raised the issue of humiliating defeat of the party. Sandhu is learnt to have called upon the party to organise a chintan meeting to learn from the defeat. Kejriwal is learnt to have directed the MLAs to list reasons of AAP’s defeat and hand over the same to state convener Gurpreet Singh Ghuggi within 15 days. Party MLAs said they were preparing the list but they would like the party top leadership to sit with local leaders and deliberate on it. An MLA said since the meeting was to elect the leader of the Opposition, they did not raise the issue much. But they were prepared to demand from the seniors that responsibility should be fixed and action taken against those responsible.